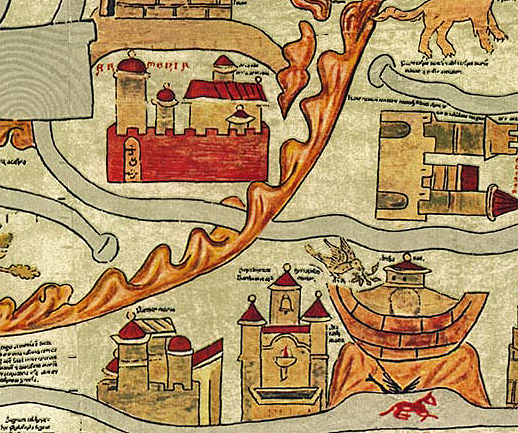 Noahs ark in the mountains of Armenia depicted on the 13th century worldmap, Ebstorfer mappamundi. 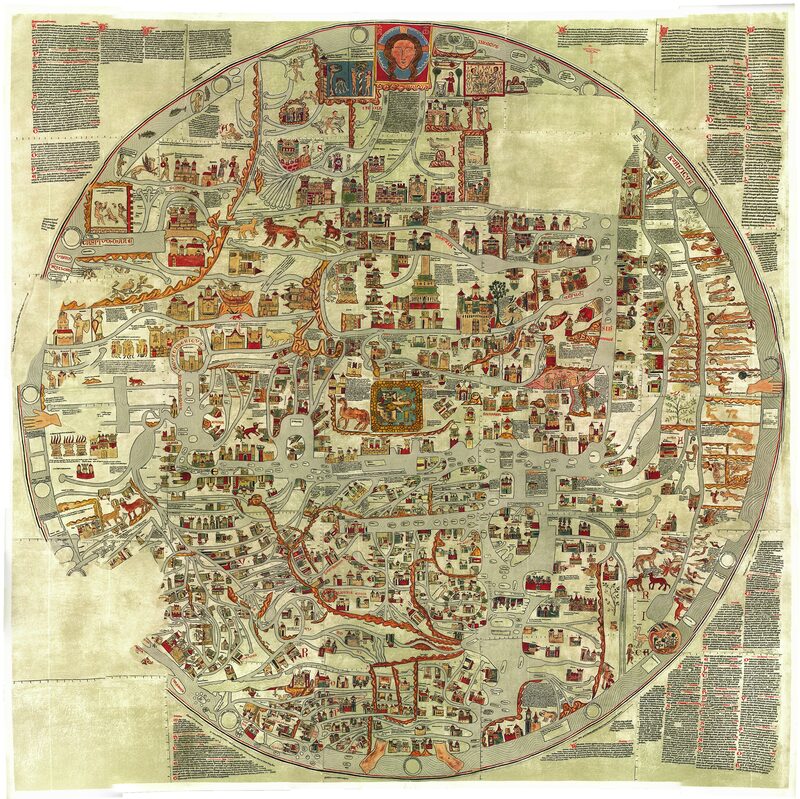 The Ebstorf mappamundi was drawn in 13th century Saxony and depicts the Christian worldview within the body of a crucified Christ. 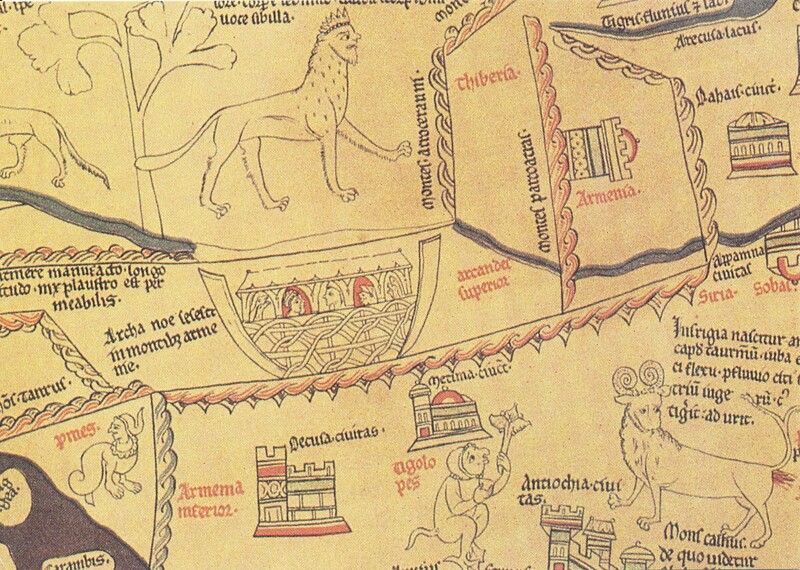 The map illustrates both the “known world” as well as significant landmarks and points of interest for the curious pilgrim. 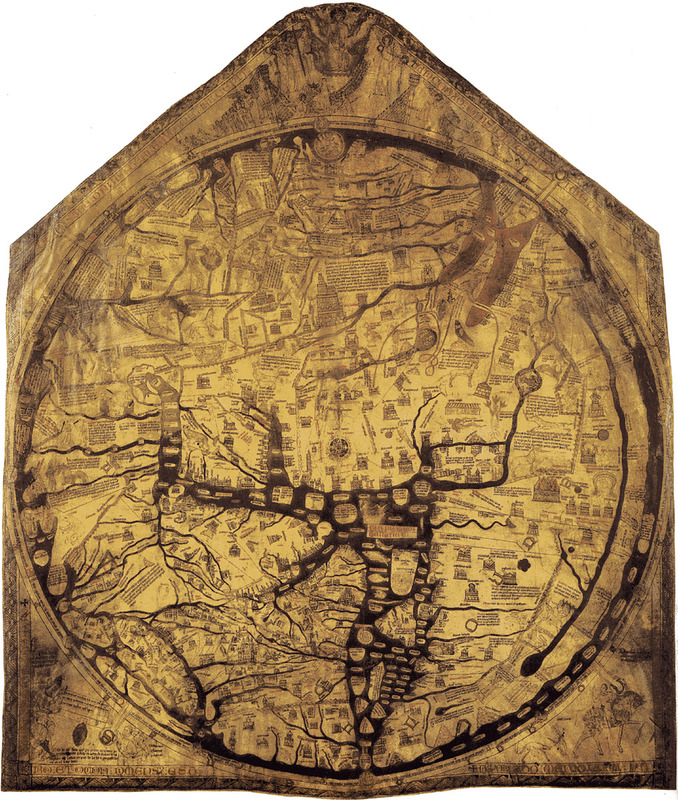 Hereford Cathedral Mappa Mundi 13th century Armenian mountains where Noah’s Ark came to rest.